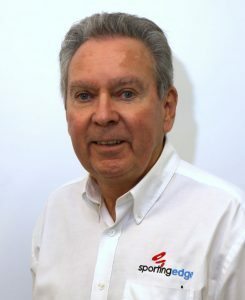 Sporting Edge UK LTD was formed in 2005 by David Vincent, the current Managing Director, following discussions with the top training organisation in England – the English Institute of Sport. The talks highlighted the performance shortcomings in the technology, power and control of existing altitude training systems and the need for a more professional and engineered approach. With the goalposts defined, Vincent (a Chartered Engineer with a passion for developing new technology) set about designing a family of highly reliable, precisely controlled, systems using a new type of technology, creating properly engineered, membrane based designs that changed forever the capabilities and performance of simulated altitude room environments. Others have since copied this approach but Sporting Edge has continued to push the boundaries for performance and control to remain the clear market leader. Since 2007 the simultaneous control of temperature and humidity has also been available as a fully integrated package – with control capabilities simply not available elsewhere. Sporting Edge’s design and manufacturing facilities have resulted in many installations overseas from Scandinavia and India, the UAE, South Africa and beyond. Sporting Edge is the preferred and the primary choice for the majority of professional sporting organisations because of the excellence of our engineering and technical approach to systems architecture, manufacture and installation. This unique expertise was demonstrated in 2014 when Sporting Edge built the world’s largest and most capable Extreme Environment chamber in UAE – a chamber than can accommodate a full pro-sports squad and which can simulate almost any location on the planet, from the top of Everest to the Amazon Rain Forest – at the touch of a button.